Today, national government action is embedded in a European and international environment in almost every regard. Therefore, successful public administration is increasingly being challenged to include a transnational and European perspective based on a profound knowledge of the political and legal spheres concerned. Against this background and on the occasion of the 40th anniversary of the Elysée Treaty in 2003, the German Chancellor and the President of the French Republic initiated the bilingual Master of European Governance and Administration (MEGA). The two-year and part-time executive program offers postgraduate studies at leading institutions of higher educationin both countries. It has been designed to reflect and advance the professional experience and interests of future public and private sector leaders. MEGA is a cooperative project of the German Ministry of the Interior (BMI)/German Academy of Public Administration (BAköV), the École Nationale d’Administration, the University of Potsdam, the Université Paris 1 Panthéon-Sorbonne, the Humboldt University Berlin and the German University of Public Administration Speyer. 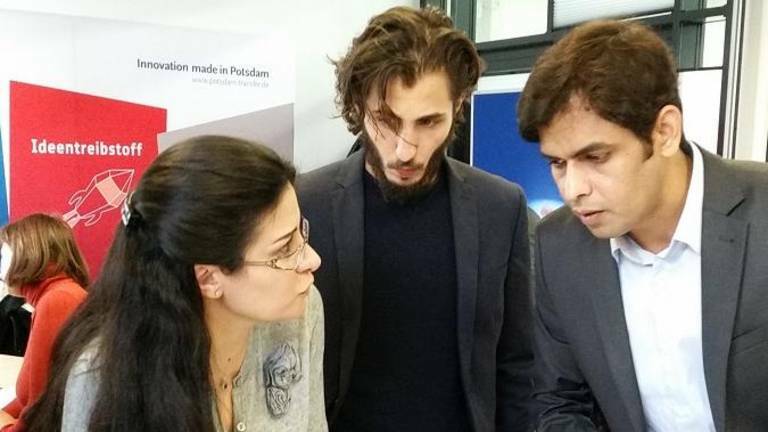 MEGA is coordinated by the UP Transfer GmbH at the University of Potsdam.